Yesterday, for the first time, I brewed non-oolong tea in this Gaiwan I bought from Paul at “Cult of the Bitter Leaf“. 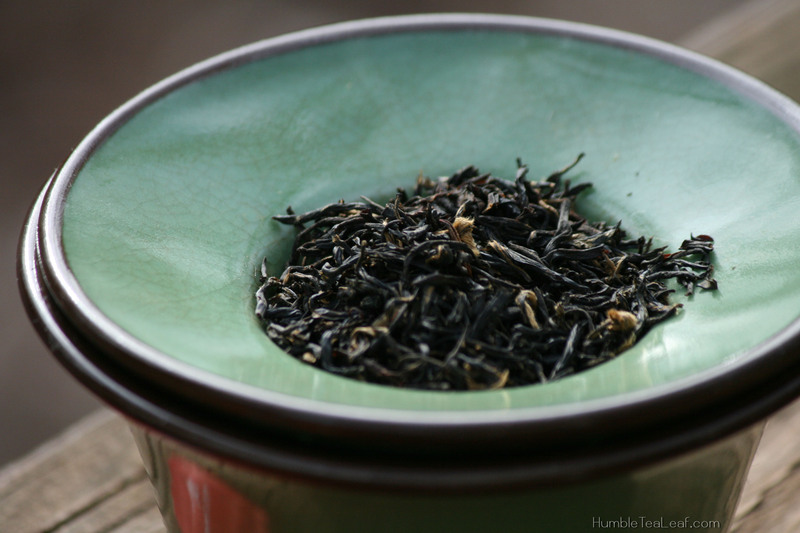 I wanted to try this Bailin Gongfu Black Tea from Teavivre for a long time. I had this sample at home for some time, but since it’s Black Tea, I didn’t rush into drinking it and was waiting for the “right moment”, the “right mood”…which is the case for almost every tea I have. It really forces me to calm down and take some quiet time and brew some tea. 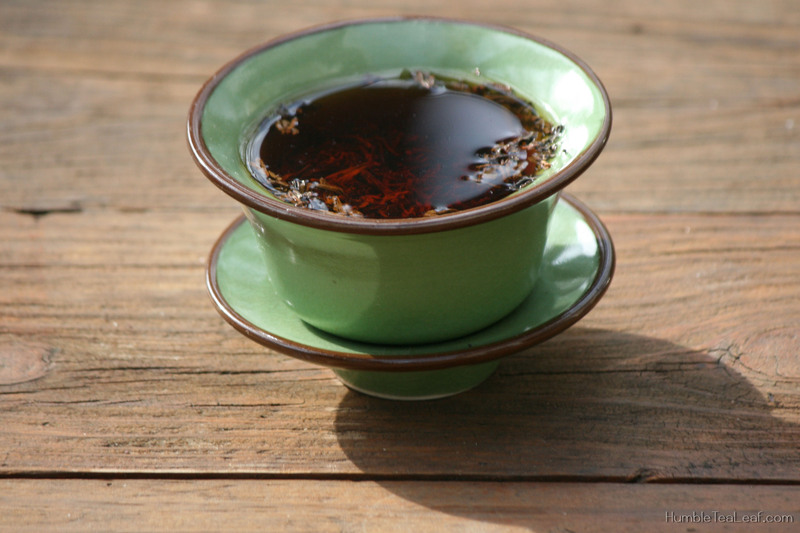 When you brew it with your Gaiwan you basically have to sip it little by little and re-brew several time. In a sense you have to commit a couple minutes to just relax and drink some tea away from any thoughts of deadline or work… It’s actually a nice break if not the best kind. This tea was very sweet and rich. I really enjoyed it and could really taste and appreciate the differences a bit better because my palate got a bit used to the Black Tea I had last week, which was a Darjeeling. To purchase this tea or to visit Teavivre’s site click here! Let me know if you brew Black Tea with your Gaiwan. I feel it’s much more suitable to brew Oolong since the leaves open and it works perfectly for this kind of recipient. That is a beautiful gaiwan!